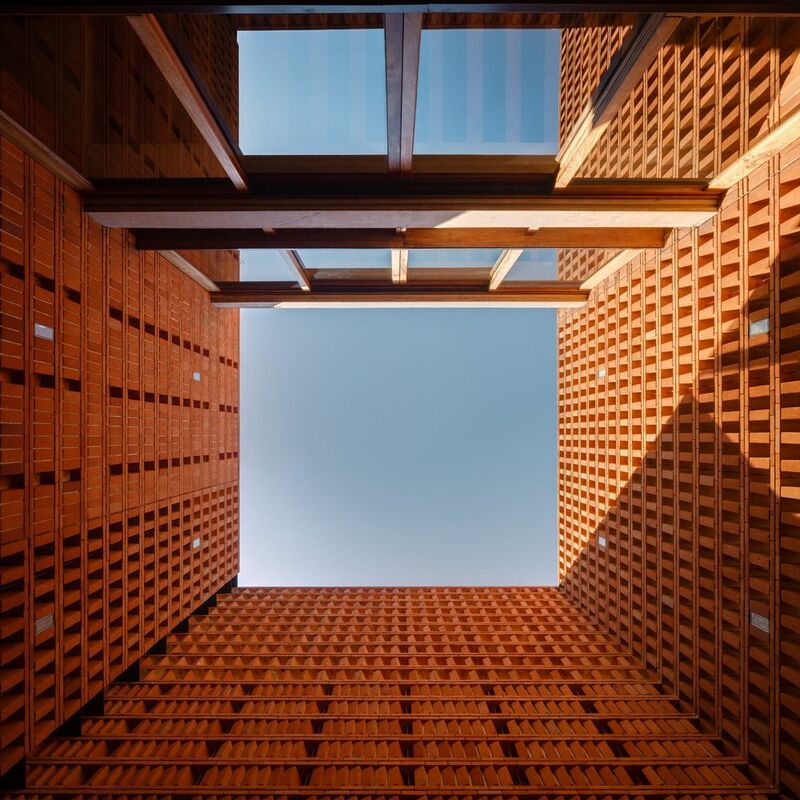 I find this brickwork for the studio of photographer Graciela Iturbide utterly mesmerizing, taking a pedestrian building unit like the brick to new heights — three-story heights, in fact. 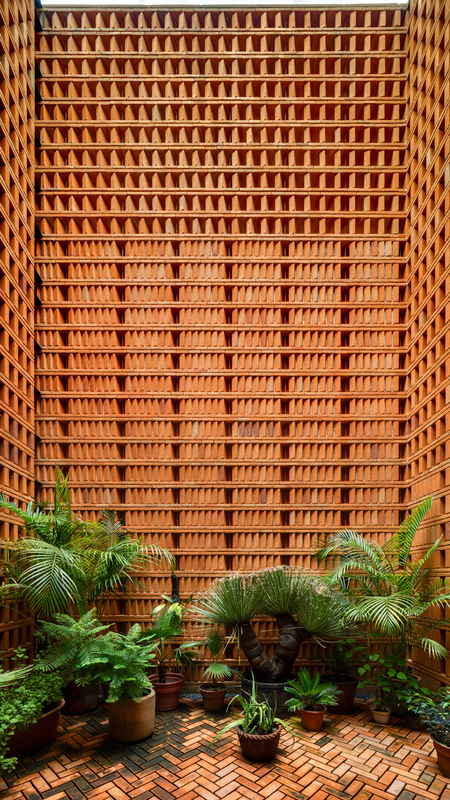 The architects Mauricio Rocha (Iturbide’s son) and Gabriela Carrillo (of the firm Taller) “sought for the project to demonstrate a repetitive and almost obsessive use of a singular material.” I think they nailed the dynamism in repetition. 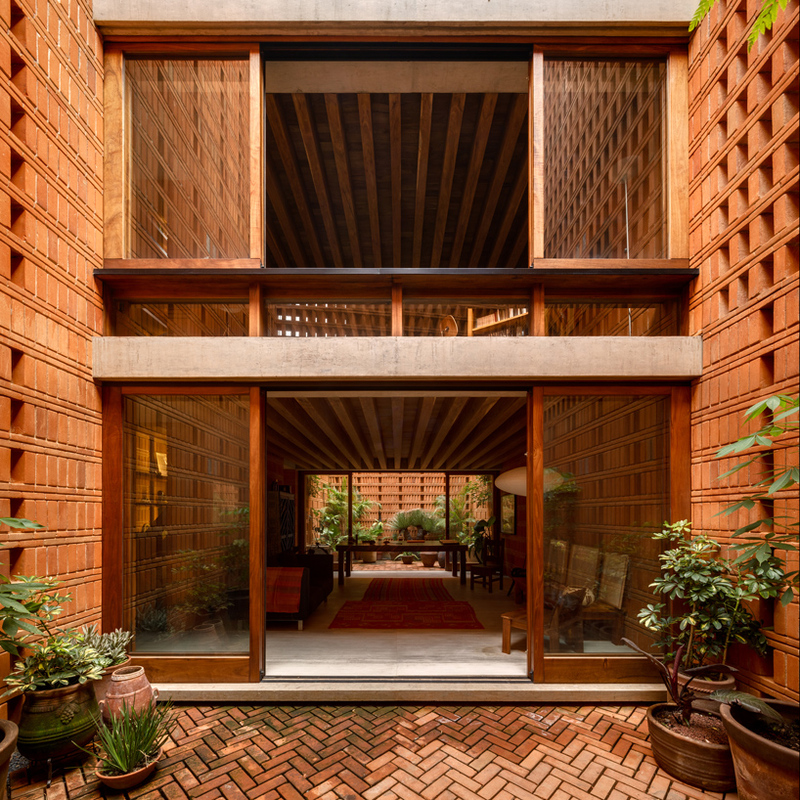 Open yet cloistered, good light and air circulation — I think plants and a photographer could be equally happy here. 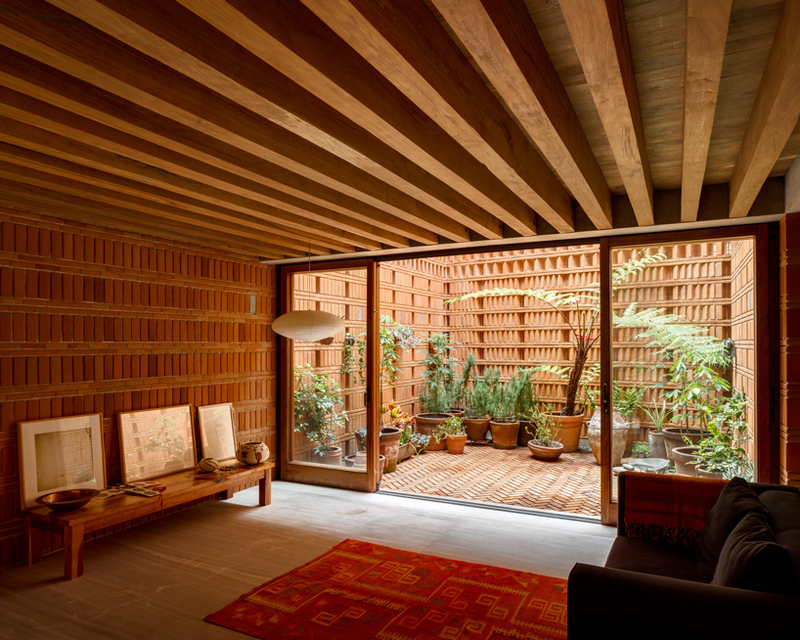 Can you imagine the studies of shadows and light that wash over the studio throughout the day? Being a native Californian and a temblor worrywart, I do wonder about the brickwork’s resistance to earthquakes. Our storms have left, sunny skies reign again, and the turbulence is moving east…take care and have a great weekend! This entry was posted in artists, clippings, design. Bookmark the permalink. 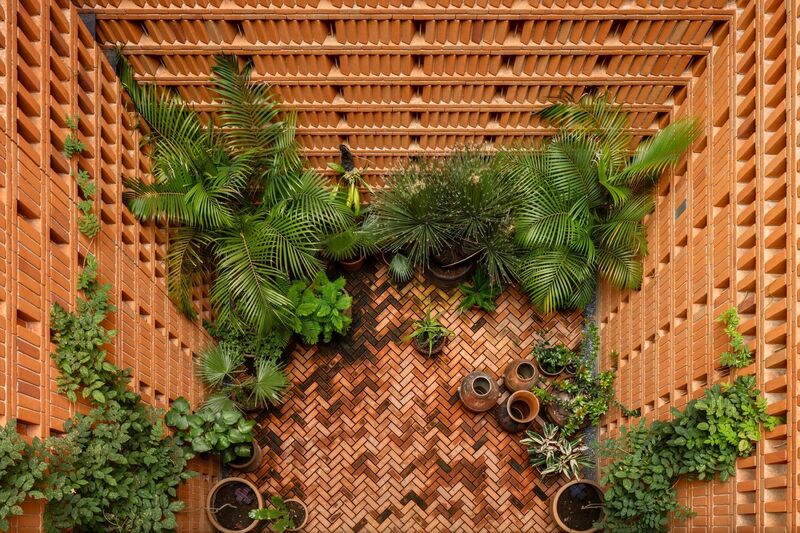 Reminds me of FLW’s Mayan Revival textile block houses. Yeah, looking at all the bricks, I think…what about earthquakes? My imagination would not have come up with anything as attractive as this if you’d simply mentioned a 3-story brick structure. The view is great upward and downward but I still think being within the space would make me claustrophobic, even though enclosed spaces don’t normally bother me. Rain, rain, go away – but please come again in about 2 weeks. Visually stunning but, like yours, my mind went to the earthquake place.